IPPA is proud to introduce its 2nd "International Spring School on Public Policy - Denver 2019”. 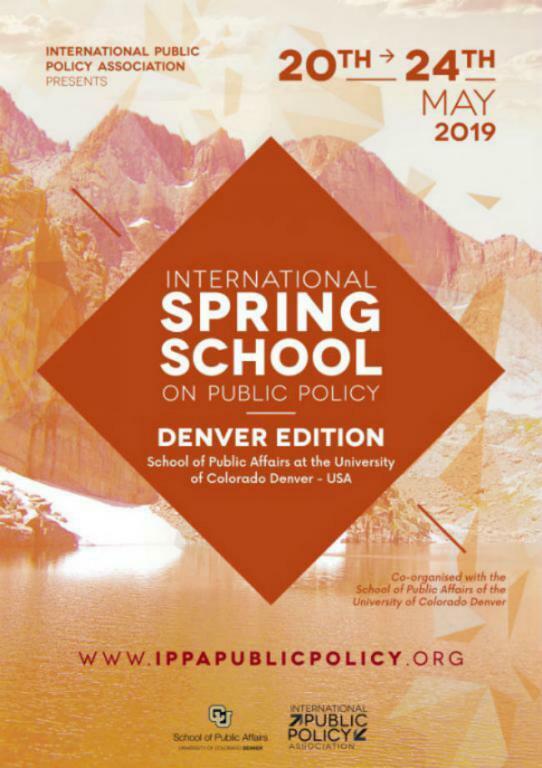 Co-organised by IPPA and the School of Public Affairs, University of Colorado Denver, the Spring School will be held in Denver on May 20-May 24, 2019. Call for applications: January 21- April 19, 2019. Registration: April 1- April 26, 2019.